Location: Burren, County Clare, Ireland. Ownership / Access: Private. Available as a venue for weddings and conferences. Notes: Newtown Castle is a 16th-century tower house, located close to the village of Ballyvaughan within the Burren area of County Clare, Ireland. Uniquely for a tower house of its type in Ireland, Newtown Castle is round but rises from a square pyramidical base. It is today part of the Burren College of Art. Newtown Castle was restored in 1993/1994 for use by the newly established Burren College of Art, which was opened by president Mary Robinson in 1994. It is available as a venue for weddings and conferences. 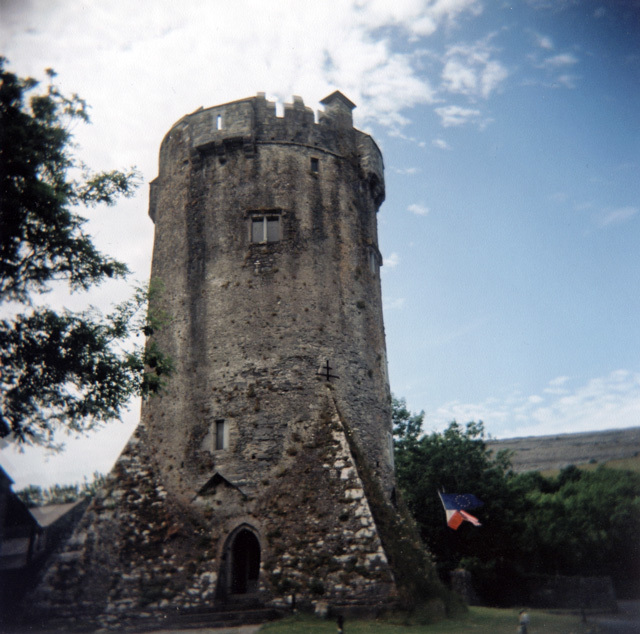 The castle is located on the Burren Way, a long distance trail. The castle is in the townland of Newton, parish of Drumcreehy. The college opens the tower daily year around.